Money Buddies are a team of volunteers and paid staff who are money friends that will work with you to help you save money, maximise your income, develop budgets and financial statements, negotiate with people you owe money to, help you switch utility suppliers, apply for grants such as Yorkshire Water Community Trust, Charis Grants and Discretionary Housing Payments. We will also explain to you what an illegal loan shark is, help and support you to report an illegal loan shark in a confidential environment, help you apply for Credit Union accounts on-line and they will look at other ways of saving money with you. 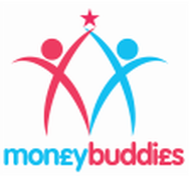 ​Money Buddies have been trained to share their what they have learned, and focus on sharing that knowledge with you, so that you become empowered and you learn how to deal with any problems you might face in future. Here at Leeds Money Buddies, we believe in helping you make the most of your money and saving you money. This is why we are using a free 'weebly' website, so that we too, can make as many savings as we can. 'Knowledge is power, the more you know, the more you can protect yourself'. If you are an organisation wishing to refer a client/customer to our services or a client wishing to see a Money Buddy and you would like to know more, please complete the form on the contact page. A response will be given within 24 hours (unless it is the weekend, then it will be the next working day). We will respond to all contact forms (no matter what the enquiry) within 24 hours during the working week. if you do not hear back from us, and you think you should have, please ring us on 0113 2350276 and we will be happy to help. Sylvia Simpson and Saleem Shafi at the CSJ Awards 2018 with Cllr Joy Morrissey sharing information on the development of the Money Buddy and Benefit Buddy services.